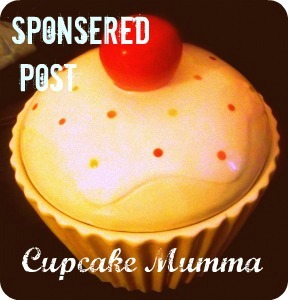 Cupcake Mumma: Little Miss Sunshine.. I was watching this film the other day. I like watching it because the little girl (Olive) reminds me of my sister. My sister has just turned 18 and pretty soon she’ll be going off to university in Staffordshire. Now, there are 4 years between myself and my sister but growing up we were quite close. All 3 of us were to be honest, my little sister, brother and I. We made art attacks in our front room, we played made up games like Lion King and Final Fantasy. We helped mum cook a lot of cakes and we had a load of ducks we loved to chase back into their hut for bedtime. We’ve always shared a room too. I used to sing her to sleep when she couldn’t drift off herself and we would sometimes stay up and talk for ages. She copied me a lot as I entered my teenage phase of dark eyeliner and black clothes. Eventually though I met my other half and became pregnant with my daughter. I lived at home for a while and then I moved out with Other Half. Sure we moved back but our relationship was a lot different from then on. At the time, my sister was entering her own teenage phase where she became quiet, started discovering boys and there was a time when she just didn’t seem like the little sister I grew up with. I remember one night when we had a quiet heart to heart. From that moment on we came a little closer once again. I soon moved out permanently but I enjoyed the fact she stayed over now and again. It’s always nice because she cooks dinner, I’ll make a dessert like my famous cheesecake and we’ll look at stuff online, pop a movie on or even watch another episode of Friends which we’ve seen a million times! So yes, my ‘little’ sister turned 18 recently and was on the road to her first gig. I’m not one for gigs so she took a close friend along with her. I heard she had a brilliant time although a few photos emerged of them stranded in Bodmin with nothing but a van selling those hotdogs and drinks. Thank goodness for car insurance that’s all I could say after yet more photos popped up of them being towed away back home! I don’t think her 18th birthday would’ve been quite the same stuck in the middle of no-where freezing cold and drinking not so great tea from those awful polystyrene cups! She got home though and I eventually got around to seeing her. My aunt’s birthday falls the day before hers so we had a big roast dinner, 2 cakes and some pressies which was a lovely day. Little Miss even treated her to a Peppa Pig balloon! I’ll miss my sister loads when she goes all 300 miles away from us all. Of course I’m happy for her and wish her all the best but that’ll never stop me missing our film nights, chats and her tasty risotto! On the plus side, we’ll start writing to each other instead and we all know how much better it is to receive a letter from a loved one than a bill in the post! !